Executive condominiums are developed and sold by private developers in Singapore but are still subjected to HDB rules and an income ceiling. When ECs were first introduced in 1999, they were deemed to be just slightly below private condominiums in terms of design and facilities. However today, executive condos are comparable to private condominiums, with some ECs even boasting better designs and facilities than private condominiums in the market. Not surprisingly, due to their more affordable prices but yet comparable (or even better) features and design, executive condominiums are highly sought after in the market today. It is not uncommon to find eligible buyers to exceed the number of units in an executive condominium development by 2-3 times during the e-application period.The e-application period is when the developer lets interested buyers indicate their interest when the executive condo is still not launched for sale yet. Come sales launch day, these applicants who submit their application during the e-application period will be given priority to view the showflat and subsequently, book a unit first. 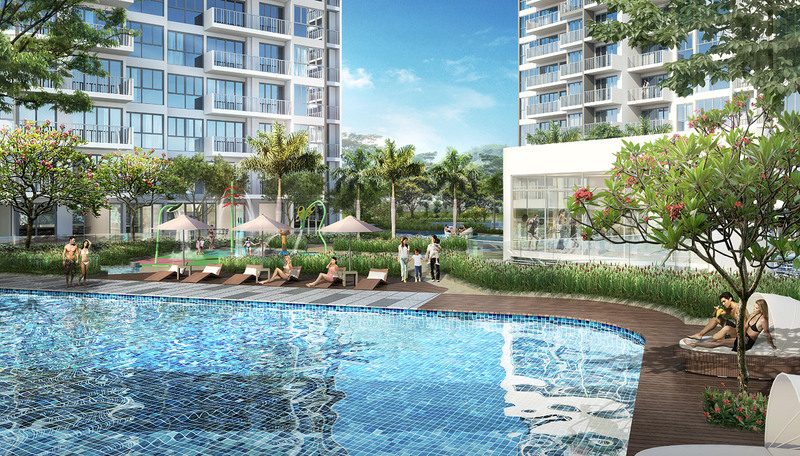 Besides the group of young graduates and professionals whom this housing type was introduced to initially, now, more and more Singaporeans are looking at ECs as an affordable way to live in private housing as long as they are able to meet the requirements. This trend looks like it is set to continue, especially with today’s high property prices throughout Singapore. Foreigners are eligible to buy EC? Foreigners are not eligible to buy EC.